Best deal with exclusive discount. DLF The Crest is a residential project developed by DLF Builders. The project offers very well designed 2.5BHK, 3BHK, 3.5BHK, 4BHK, 4.5BHK apartments and 5BHK penthouse. The project is well connected by various modes of transportation. The site is in close proximity to all civic utilities. The Golf Course Road is a 7 km long stretch with major residential localities which are developed and designed by super architects. This main road has DLF Golf club and several recreational spots. It directly connects to MG road on one side and further extends to Golf course extension road. In which area is DLF The Crest located?The project is situated in Sector-54, Gurgaon. What apartment sizes are available in DLF The Crest? The project offers apartments sized between 2225.0 sqft and 6228.0 sqft. What is the area of 2 bhk in DLF The Crest? 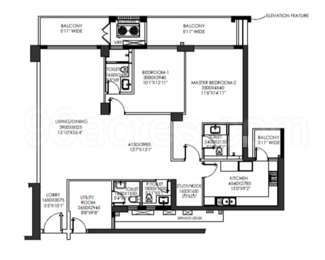 The size of a 2BHK unit in the project ranges from 2225.0 sqft to 2370.0 sqft. What is total area of 4 bhk in DLF The Crest? 4 BHK units in the project are available in a size of 3081.0 sqft to 4969.0 sqft. What is the total area of DLF The Crest?The project spans across 8.82 Acres. rs have a pan India presence with some of the most beautiful buildings in its name like DLF City, DLF Universal Limited, DLF Capital Greens, DLF Park Place, DLF River Valley, etc. It is India's largest real estate company and still growing with 300 million sq. ft of projects under construction. I have bought a 2 Bedroom set in DLF The Crest. I will be living with my wife and daughter. What all facilities does this project offer for kids? Hi Somit! There are parks and a play area for kids along with a swimming pool in DLF The Crest. Apart from that, the Banyan Tree World School and Lancers International School are not more than 4-5 km away. Also, there are many play schools like KLAY Prep School and Day Care, and Crech School are 5-10 minutes away. Moreover, there is a lot of scope for extracurricular activities with academies and schools like Genesis The Language School, Indian School of Languages and Kamp1 School of Music are in the radius of 2-3 km from this society. Ryders sports academy is not more than 4 km from this society. Hi Somitl...!!  There is only 3 and 4 bedroom homes ranging from a luxurious 2662 square feet to 4022 square feet. Penthouses available with area over 6000 sq.ft. I work in an IT company in Cyber Park and I am looking for a 3BHK apartment on rent. Please let me know the availability, price details and maintenance charges in DLF The Crest. Thanks! 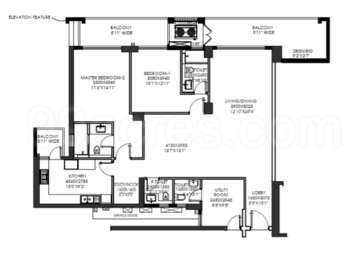 Hi Abish, according to the latest information from a property dealer, a 3BHK home on rent in DLF The Crest Sector 54 is available between Rs 1 lakh to Rs 1.5 lakh per month and the maintenance charges are to be paid Rs 15,000 per month [exclusive of rental charges per month]. In fact, the place is quite close to all civic utilities and its proximity to IT hubs and South Delhi is the main USP of owning a property in DLF The Crest. Also, if you feel that the charges are a little inflated here, you may have a look at other available options within the same area or neighbouring sectors like sector 55, 56, 42 and 43.